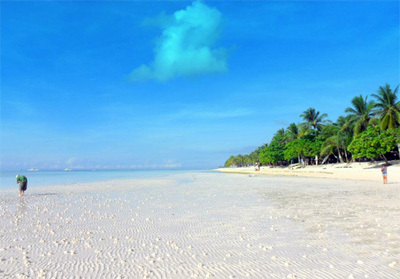 If you’re looking for information on how you can get from Cebu to Bohol, look no further. Read below for all the information you should need to confidently plan your trip to this tropical haven of natural beauty! The most popular option is to book seats on a fast ferry. Many depart from Cebu each day and you won’t have a problem fitting one of them to your schedule. The fast ferry will only take about an hour and a half to reach Tagbilaran city in Bohol. It’s important to note that the Tagbilaran airport is domestic. If you’re trying to get to Bohol from outside the Philippines, you must go to either Manila, or Cebu first. If your rock bottom budget traveling, you can look into catching a ferry to Tubigon, and then continue by bus from Tubigon to Tagbilaran. However, most people will choose one of the three major fast ferry companies working the Cebu to Tagbiliran route. You can view a list of fantastic hotels throughout Bohol here, and find one that fits your price range. Enjoy the ride, and see you soon!